Purchasing real estate can be overwhelming, regardless of whether it’s your first home or you have had experience previously in the property market – after all, buying a property can be one of the biggest decisions you will make in your lifetime. But, it’s important to remember – you are not alone. Colac Real Estate’s mission is to guide you through the process of purchasing your next Colac property home, so you are organised, informed and ready for the journey ahead. It’s also a great idea to go through the Consumer Affairs Due Diligence Checklist to make sure you understand the issues and obligations that may effect you when buying property. In addition, Colac Real Estate’s experienced director Sandra McConachy has put together the following tips to help make buying your next property a trouble free and enjoyable experience. Meet with your Mortgage Broker, Bank or Financial Institution to so you know what you can afford. If possible, gain pre-approval for a loan amount – this puts you in the box seat once you find your dream property. Pre-approval means that you can be ready to act straight away when your dream Colac property comes onto the market. It also gives you the opportunity to bid at Auction. The bottom line is: pre-approval can save the disappointment and hardship of missing out on your dream home – just because you didn’t have your finances ready. It is very important to consider exactly when the type of property you need. Ask yourself: how many bedrooms, bathrooms, living areas do you need? What size land? Which area of Colac is ideal? Do you want to live within the town, or on a property out of town? If it’s a Colac commercial property you need, what size land? Do you need shedding? What access does the property have to services? Work out the property features that are non-negotiable, but on your wish-list also have features that you are prepared to compromise on. It may seem simple, but too many purchasers chase their tails because they haven’t stopped to consider what they are actually searching for. Research the Colac real estate market. It is important to understand the current property prices for the type of property you area looking for. That way, when the right property comes onto the market you can be confident in putting in a bid. Great ways to research are: information on the internet, newspapers, Open Houses and inspections. Start thinking about the other services you need when buying a home. 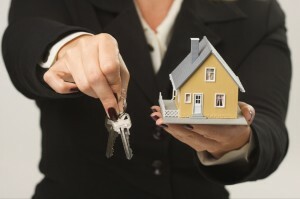 A vast majority of homebuyers used the services of a Conveyancer to oversee the property ownership transfer. Depending on the type of property, you may also need a solicitor. If you’re having trouble knowing who to use, talk to our Colac real estate agents. Make a shortlist and arrange to inspections of the Colac properties for sale that fit your search criteria. Contact Colac Real Estate will be only too happy to arrange an inspection on your behalf, of any of the properties in our Colac Properties For Sale, which also include Colac Houses for Sale. We can also assist by providing, on request, additional information relating to the property, as disclosed in the Vendor Statement. For more information about buying a property see Real Estate: A guide for buyers and sellers, which is a handy tool produced by Consumer Affairs Victoria. Colac Real Estate welcomes enquiries from people looking to buy property for sale in the Colac region. To make time to sit down with a Colac estate agent, who is committed to making the buying process easier for you – contact Sandra McConachy on 03 5231 1989, via email or on mobile 0409 523 540.